Have you found a special place for your new year’s eve? If not, you can come to Jakarta. 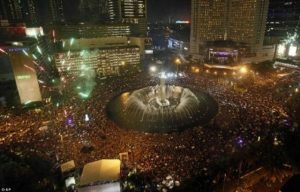 In Jakarta, there are so many places that you can visit and fun things to do in Jakarta in new years eve when the New Year comes. 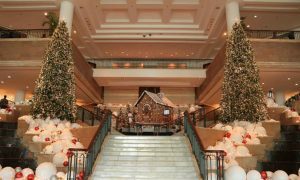 Celebrating New Year in the Hotel Mulia can be one of the 5 best hotels to stay for new year in Jakarta. 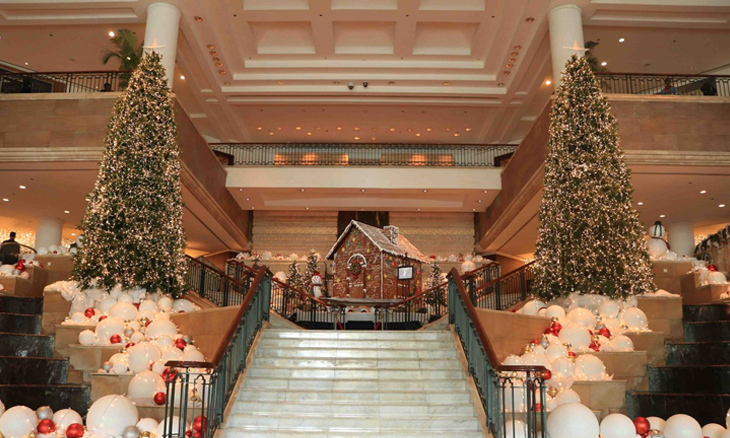 Besides you can stay in the Mulia hotel, you can also celebrate your new year’s eve in the Mulia Hotel. Why? Check this out! Celebrate New Year’s Eve in the Hotel Mulia. With the choice of six restaurants; the Café, Edogin, Cascade Lounge, Table8, Orient8, and il Mare, you will get to experience the fun and impressing New Year. You also may celebrate the Christmas there. You can take pictures with Santa Claus and enjoy the chorus of children who attend every Saturday and Sunday, at dinner and lunch. In the Hotel Mulia, there is a special offer which you can enjoy the music while having dinner with your family or friends in the luxury restaurants. This hotel usually invites some artists to celebrate the New Year. If you come to Jakarta to celebrate New Year, don’t forget to come to MH Thamrin Street? Why? Because in this place, especially at night, there will be held the car-free night at MH Thamrin Street to Medan Merdeka Barat Street. It could be one of the cheap and fun things to do in Jakarta. However, there was no entertainment stage there. At the turn of 2014 to 2015, for example, the number of stage entertainment provided far less than the previous year. In this place, you also can try various street foods that you may never try. I guarantee this food is clean and delicious. You can see many lights that have various sparkles light. Those lights make the scenery is beautiful. In addition, you can go with your family or friends to enjoy the atmosphere of Jakarta’s night. Let’s new year’s eve in the Mulia Hotel! Have you ever heard Big Bag Jakarta? BIG BAG Jakarta is an exhibition for many comprehensive multi-product that come from the warehouse where these things are sold. So, if you want to buy many products at a cheaper price, this place will the best choice for you. This event is commonly held at the Jakarta International Expo (JI Expo) Kemayoran by presenting a wide range of interesting promo. The exhibition will last for 11 days. Commonly, in this place, you will not encounter with an exhibition of multi-product only. But in 11 days, you will also enjoy some concert from many famous Indonesia’s artists. Last year, the famous musician that join to celebrate New Year in this place are Kahitna, Yovie n Nuno, Java Jive, Sheila on 7, Armada, Payung Teduh, Kotak, Superman Is Dead, Endank Soekamti, Ras Muhamad, Steve Jam, and many more. In this place, you will be attended by 1,000 exhibitors from various companies ranging from automotive companies, furniture, home appliances, Food & Beverages, Fashion, and more. Perhaps, it will place top attractions Jakarta. Because many people from out of the city cannot enjoy and participate in the exhibition or concert. 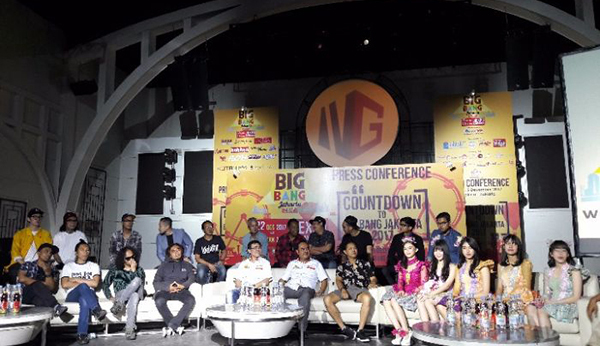 So now, Big Bag Jakarta is not only held in Jakarta but also in many big cities in Indonesia routinely every end of the year. as well as other spectacular entertainment programs. If you like to see the scenery that fills with the firework, you come to the right place, Taman Impian Jaya Ancol to enliven the New Year. Musical Fireworks can be seen by the visitor on the New Year’s Eve. Lasted 15 minutes, there will be more than 23,000 colorful burst of fireworks decorate the sky at Lagoon Ancol Beach. This is a special event. Why? Because these fireworks are combined with musical accompaniment, visitors will be satisfied with the beautiful fireworks on the white sandy beach. Not only that, before the fireworks started, the visitors can watch cultural performances of East Indonesia on the floating stage at the beach. Balinese and Papua dances will also celebrate your New Year to enliven the atmosphere. Fireworks will also be presented along with the coast of Ancol. 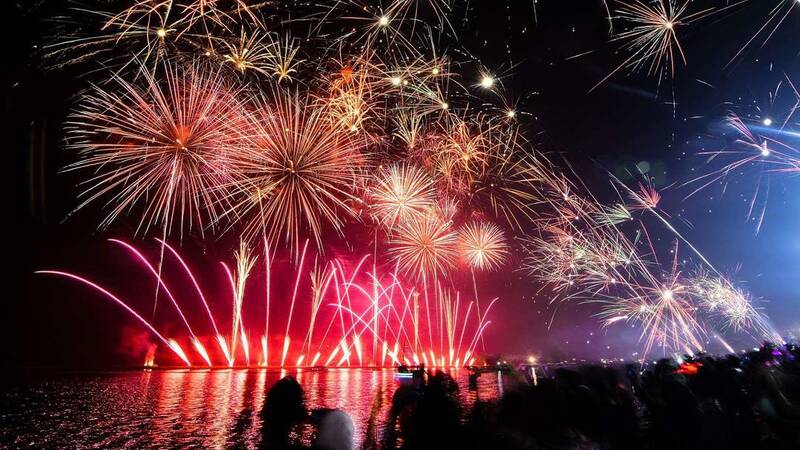 With a total of more than 32,000 fireworks burst in a five-point of the beach, fireworks at Ancol is the only the largest and longest fireworks party in Indonesia. New Year’s Eve celebration in Ancol more festive with the collaboration of culture of the archipelago that is packed in Indonesiaku charm. In addition, to travel and enjoy the peak of the turn of the year, visitors can also help preserve cultural heritage. Ancol Dreamland becomes one of the favorite locations for celebrating New Year’s Eve. You can enjoy a variety of entertainment, ranging from cultural performances to the accompaniment of music with fireworks. 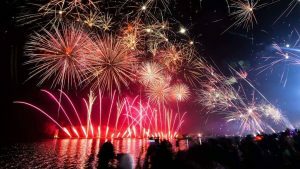 It is hoped that this show can be additional entertainment for people who want to celebrate New Year’s Eve in the tourist area of things to do Ancol, North Jakarta. If you do not like the crowds, you can enjoy a New Year’s party at a few hotels in Jakarta. Many hotels that offer a special package that from the price of lodge until the event of giving the price. Several hotels also invite special guests, such as Groove at Century Park Hotel, Hotel Sheraton Gandaria who took Afgan, Mercure Convention Center with the main star Naif. And for Hotel Mulia, it is known that it has presented Louisa Johnson. Celebrating the New Year’s Eve in the Hotel Mulia will be fun and interesting. If you never spend your New Year in the Mulia Hotel, you can try it now.